In addition to launching gaming-ready and family-friendly all-in-one PCs, Lenovo confirmed at a London PR event this week that it plans to launch a smartphone 'mobile internet device' in Europe within the next 12 months. 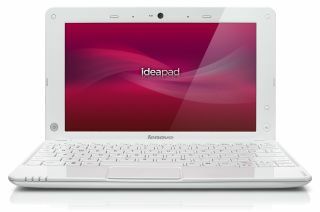 The company is also readying to launch a range of consumer laptops next month under its new IdeaPad brand. The latest range of Lenovo IdeaPads include the IdeaPad Z560, described as "an affordable multimedia notebook" ; the "stylish high definition ultraportable" IdeaPad U160 and the "perfect internet companion" the IdeaPad S10-3s. Lenovo's 'Idea' branded laptops and all-in-ones make up the company's major marketing push into the consumer PC space in Europe. "Really, we have one brand, the name of the company – Lenovo – is our primary brand, our 'power' brand," explained Lenovo's Media Relations Manager Adrian Horne. "ThinkPad and the 'Think' are product lines – but ThinkPad also happens to have a product name that is well-established and well-recognised. "And then we have the 'Idea' range, IdeaPad and IdeaCentre, which are also product lines. Really, the objective of what we wanted to do with the Idea range is to create a product segment that is common to consumers globally, whether it is in China, India, Russia, France, US… It is a worldwide brand." In terms of new technologies, Lenovo recently announced a 3D notebook in the US (the Lenovo Y560d), with 3D currently very much in vogue in the gaming, multimedia and photography markets. However, the company has no immediate plans to bring its 3D laptop to the UK. "3D is very exciting and, from a consumer perspective, has advantages in various forms – from watching movies to playing games and so on. From a day-to-day functionality perspective however, I can't really see many advantages, from walking around with a pair of 3D glasses on," quips Horne. "It might look a bit daft! But from an entertainment perspective it is clearly going to be the next big thing. In Europe though we have a very specific focus, so while the technology is very advanced the adoption rate [right now] is going to be very low. It is a niche product. It would be addressed by very early adopters. "There are very few games that are available in 'proper' 3D and a few movies in 3D. You don't really get streaming television in 3D at the moment. So it would be a very low-volume product. And for Lenovo, in the consumer market in Europe, it is not our objective to address low-volume products." Lenovo is keen to move into the mobile internet device market in Europe, following success in the Chinese market. "On a global basis, mobile internet is one of our key priorities," notes Lenovo's Horne. "And at the moment that is predominantly because of the explosive growth of mobile internet in China. "So we have introduced an Android-based smartphone [that was shown at CES] that has proven to be a tremendous success. As a result of that success and of the growth of the Chinese market we are redesigning our smartbook platform called 'Skylight' to run with Android rather than proprietary operating systems." So what kind of form factors are we talking about here? "Anything really that would be considered to require always-on capability – so smartphone, slate, smartbook-type, slate-hybrid… anything that people would expect to have and need mobile capability from comes under 'mobile internet' for us." The Lenovo rep adds that the company's "intention and ambition is to bring mobile internet devices to the international marketplace within 12 months."